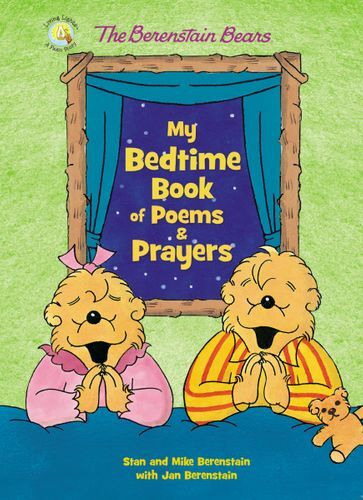 The Berenstain Bears My Bedtime Book of Poems and Prayers is a padded board book collection of fifteen original poems and prayers written especially for young children. It brings the kind of warmth and love to story time that only the beloved Berenstain Bears can deliver. Focusing on character traits and simple lessons and truths such as being a good friend, being thankful, being generous, honesty, and bravery, these prayers and poems will enrich and grow the faith and prayer life of all the little cubs in your life. Together with classic The Berenstain Bears artwork and Scripture from the New International Reader’s Version (NIrV), this is sure to become a family favorite.